Iran is trying to exploit the visit of US President Donald Trump to the military base of Ain al-Assad in western Iraq on December 26 to open a new front in the power struggle against the United States of America, this time a legislative law, and the performance of the Iraqi Council of Representatives. 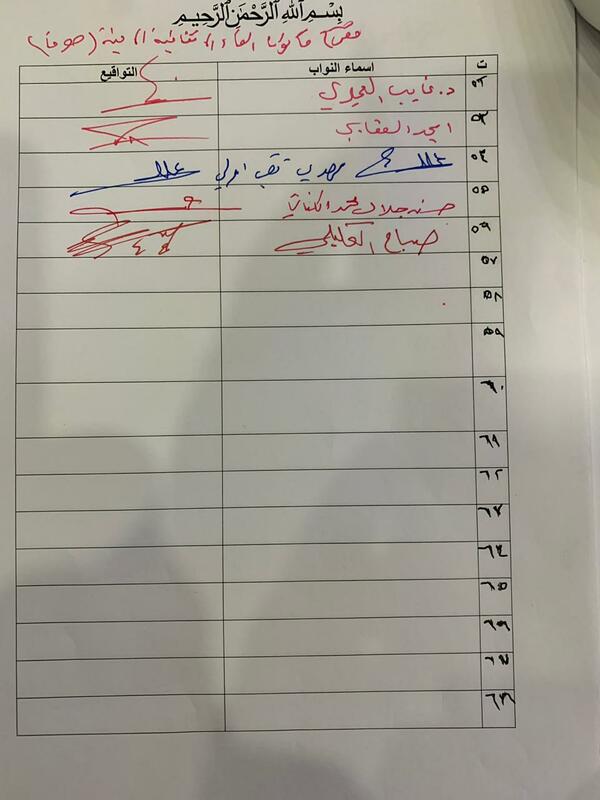 Tehran encourages its allies The politicians, who form a bloc and balanced the Council to enact a law obliging the Baghdad government to end the US military presence on Iraqi territory. 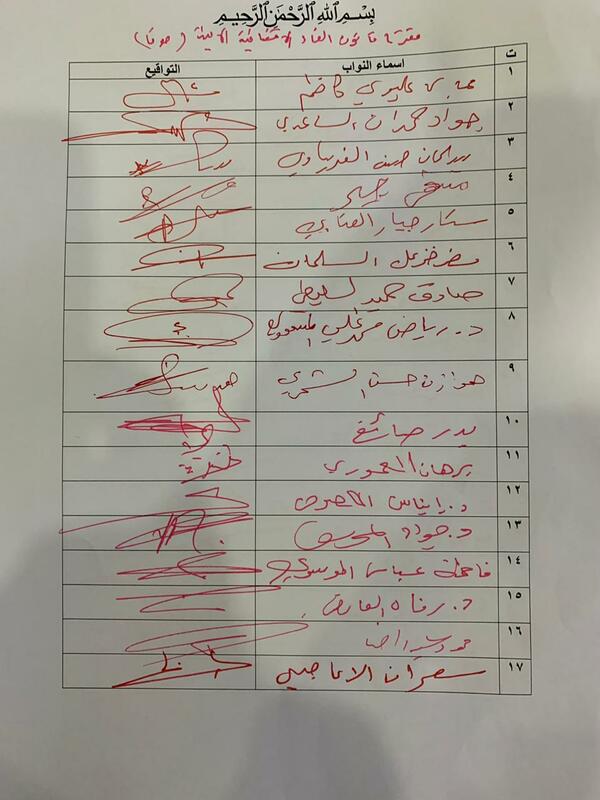 With this "bill of law", the parliamentary scene can be read as follows: The reform bloc is competing with the building block within the Iraqi Council of Representatives in the matter of whichever is more loyal to the Iranian influence in Iraq. 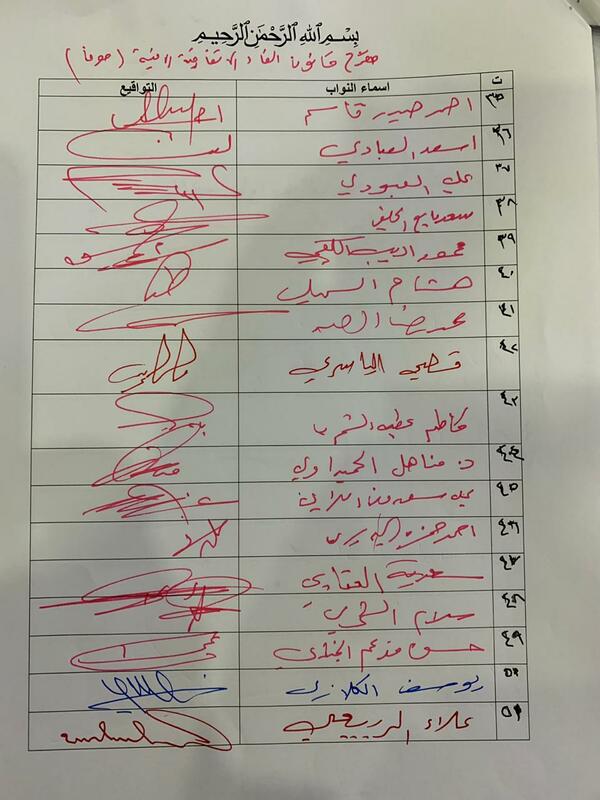 In this context, the leader of the Iraqi "Asaib Ahl al-Haq" The Iraqi parliament will vote next month on Washington's demand to withdraw its forces from the country, likely the possibility of the expulsion of these forces by force. He said Khazali, whose movement is among the most important elements of the "popular crowd," in an interview with the Associated Press, A ground for the survival of thousands of US military Iraq after defeating the organization "Daash", stressing that these forces may be expelled by force if it does not respond to the will of the Iraqi people. "If the most important goal of their presence here is to confront the military threat posed by the 'Da'ash,' this danger has been eliminated," Khazali said in an interview with the agency in a Baghdad office on the Tigris bank opposite the US embassy. In this case, what is the ground for the survival of these forces now? 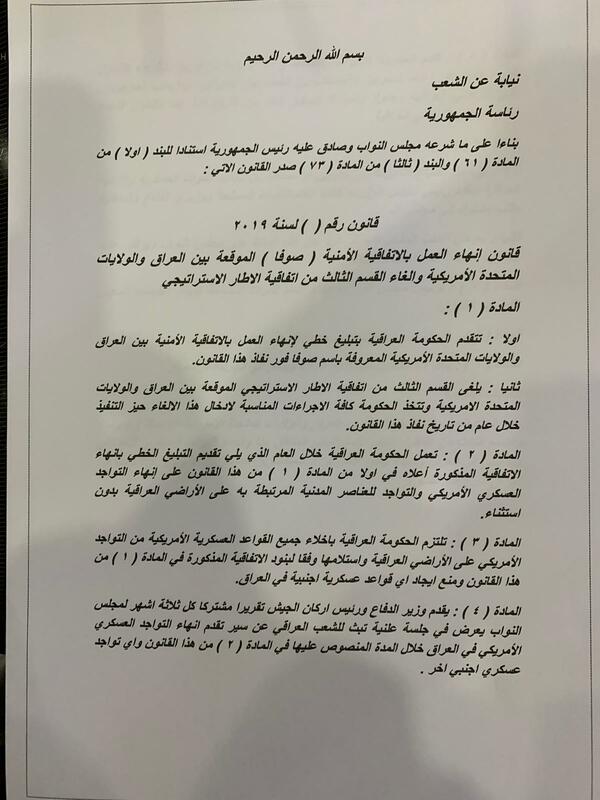 "Al-Khazali suggested the possibility of a small number of advisers and military trainers in the country to carry out logistical tasks, but must determine the number and places of deployment by a joint committee on the subject, adding that any presence out of this The scope will be considered a violation of sovereignty by the parliament and the people and political factions, including "Asaib Ahl al-Haq", and continued: "We will not allow it." Khazali expressed his conviction that the House of Representatives will vote in favor of Washington's demand to withdraw its troops from the country, saying: "I think that more than Half of the members of the House of Representatives reject in principle the military presence The US .. If the United States wants to impose its presence by force while ignoring the Constitution of the country and the resolutions of the parliament, Iraq can deal with them similarly by expelling them by force .. But the first stage will be political. 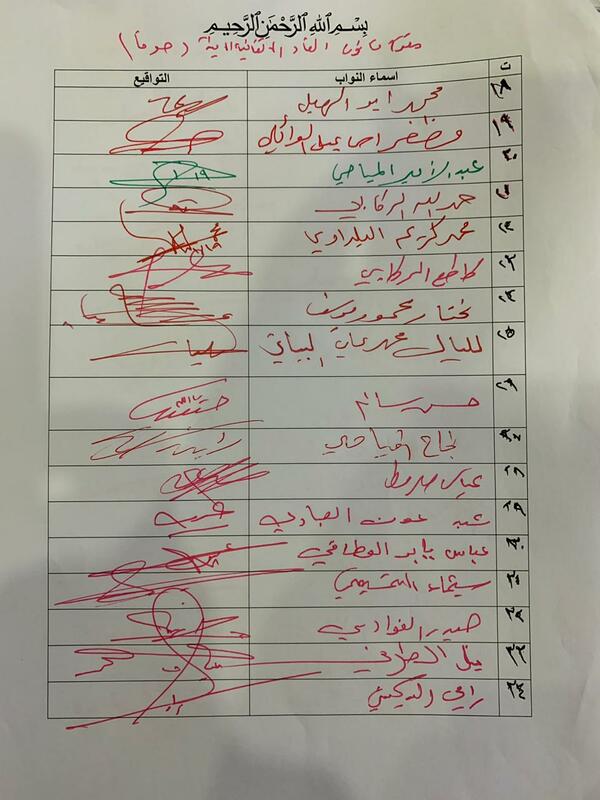 As for the Sunnis of Iraq, it is not new that their parliamentary status is very modest, perhaps half of them will vote in favor of the "law" proposal. The Kurds of Iraq are against the removal of US forces from it, because they consider the presence of these forces on Iraqi territory in general and the territory of the Kurdistan region in particular as a guarantee for the security of Iraq, and thus will vote against that proposal, which makes them under political pressure and security Iranian. But Iran, in contrast, after the United States withdrew from the nuclear deal and imposed economic sanctions on it, has become in dire need of enhanced economic cooperation with the KRG. Although the United States did not support the Kurdish referendum in September last year, this does not disturb the relations between the two allies. The Kurds are not satisfied with the American ally, because this would expose the Kurdistan region to existential danger. They will also stand by them if the region is exposed to any imminent threat from any other terrorist organization. In order not to stop the US-Kurdish relations at the dilemma of the referendum, because the Kurdish ally is very important in the policy of the United States of America in the Middle East, and to impose the atmosphere between the two allies, and strengthen relations between them, a number of US officials to visit Erbil, led by Mike Pompeo, With Massoud Barzani, Najran Barzani and Massur Barzani. According to special information obtained by the Center for Strategic Studies and Research, that Tehran is very upset about the US camp "Iraq" in the Kurdistan region of Iraq, where the importance of this camp to the American side and the Iranian fears of it, that the special forces and aircraft and the airport, American camp west of the Iranian border. So this camp is so much concerned about Tehran. It is likely that in February next year the House of Representatives will vote on the proposal of "law", and this vote has two possibilities: the first, to vote the House of Representatives in the form of "decision", and in this case it is likely that the Prime Minister does not implement the decision, recommendation. If the proposal is to be drafted, it is very difficult for the president to ratify it, and this is under American and Iranian pressure. The question that arises in this context is why the president does not wish to ratify the law and the prime minister does not want to implement it. Is it a foolish and unwitting desire? Not at all, but from a deep vision of the consequences of passing the law, how so? No one can deny the American military, intelligence and air force factor in defeating an oppressive organization in Iraq. The departure of the United States from Iraq may activate the return of the terrorist organization, urging it to take over the stability of Iraq, or perhaps another terrorist organization will emerge, no less horrifying. Economically, the Iraqi economy may fall apart, once the US Federal Reserve does not protect Iraq's money from the sale of Iraqi oil. 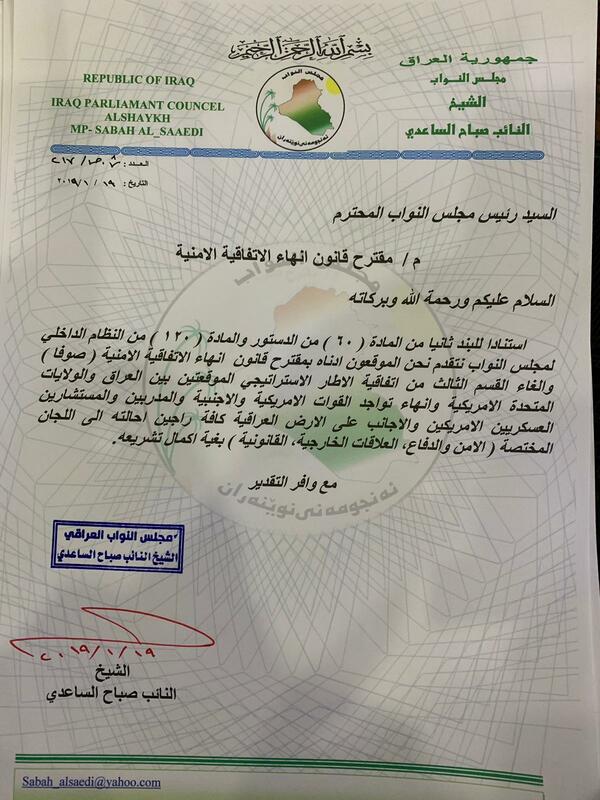 Washington also protects Iraq from its creditors as an ally. Iraq, without losing the United States, has a budget deficit of between $ 19 billion and $ 23 billion, based on current oil prices of between $ 59 and $ 60. Politically, Iraq may lose a lot because it is known that Washington is sponsoring this system at the Arab, regional and international levels. 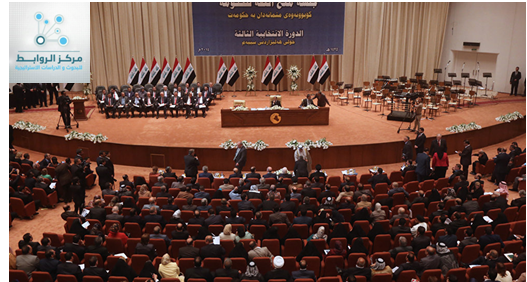 The passage of the "law" proposal has serious negative repercussions on the political, economic, military and security aspects of Iraq, and those who do not feel it may be living in a coma of Iraqi reality. The bottom line is that it is not in Iraq's interest for the state and society to pass the "law proposal" whether in the form of a resolution or a law. The Iraqi suffers from political, security and military crises, especially the economic crisis in all parts of the Iraqi state in terms of corruption and corruption. From the previous governments. In addition, there is a popular movement in southern Iraq, which can be extended to the rest of Iraq if these crises continue, especially economic ones, and then fear that the Iraqi society will explode and thus it is very difficult to control it. a More than three months of economic crisis.